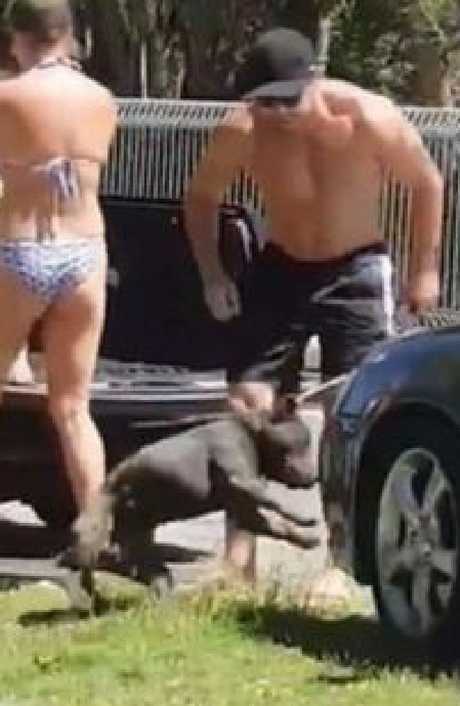 GOLD Coast man Brett Simpson has been fined $1000 but has escaped a conviction after pleading guilty to punching and kicking his dog in January. 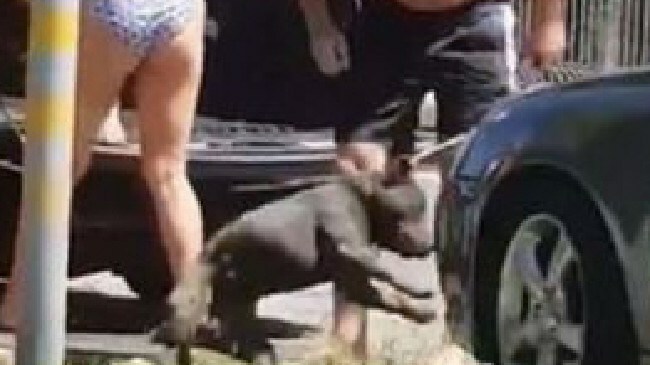 Shocking footage of the incident, which went viral after it was recorded at Palm Beach, was screened in Southport Magistrates Court on Monday. It shows the 32-year-old kicking and yanking the lead of his Staffordshire bull terrier named Rocky, which sent the 2 ½-year-old dog airborne for one metre. Mr Simpson also admitted punching the dog in the face, which occurred prior to the video starting. Simpson admitted he punched and kicked his dog, Rocky, during the attack. Picture: Facebook. The court heard the accused received death threats on social media and was forced to switch vehicles and change his numberplates due to the public backlash that followed the incident. Mr Simpson was also slapped with nearly $1200 in associated costs and prohibited from owning an animal for three years. The metal roofer from Reedy Creek had voluntarily attended anger management sessions and donated $500 to the RSPCA. Magistrate Louise Shepherd noted Mr Simpson's remorse and said the "public shaming … and victimisation" he'd experienced was another mitigating factor in her sentencing decision. "My client has pleaded guilty today to a serious offence, he's extremely sorry for finding himself in this position," Mr Simpson's defence lawyer Brooke Winter told reporters outside court. "He's been charged, the courts have dealt with him and he now wants to move on with his life." The court heard Rocky remained in good health despite the treatment and has since been rehomed.